An unprecedented series of events in the past week have changed the course of Zimbabwe’s history. 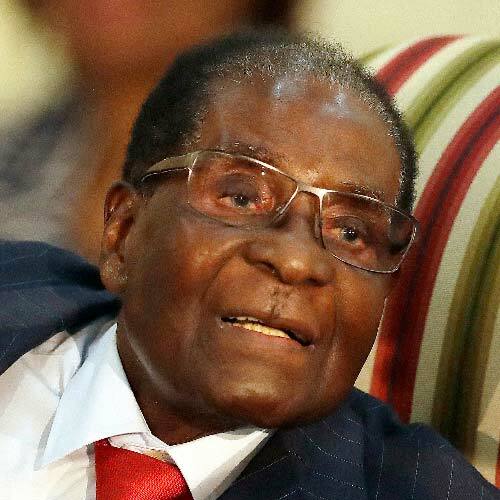 Longtime leader Robert Mugabe, a freedom fighter turned president-for-life, has ceded power at 93. What happens next will depend on a complex web of connections that has poised Zimbabwe for its first new leader in 37 years. A small set of key players lies at the heart of Zimbabwe’s political apparatus, representing the past and future of the southern African nation and its 16 million people. Born in Kutama in what was then known as Southern Rhodesia, Mugabe was the son of a village carpenter. He studied economics in Ghana and became a Marxist. In 1960, he returned to his home country and began advocating for black majority rule. In 1963 he founded the Zimbabwe African National Union, or ZANU. He was imprisoned for 11 years but continued to coordinate the resistance movement from behind bars. In 1974 he was released from prison and led a guerilla movement to overthrow the government. In 1980 the country won independence and became Zimbabwe, and Mugabe was elected prime minister. He has ruled since that time in an increasingly authoritarian fashion, silencing dissent and imprisoning political opponents. His policies and his government’s widespread corruption have been blamed for destroying Zimbabwe’s economy. While working as secretary for President Mugabe, Grace Marufu became his mistress. After the death of his wife, Sally Hayfron, they were married despite a 41-year age difference. Since then, Grace Mugabe has become a central figure in Zimbabwean politics, heading up certain parts of the ruling ZANU-PF party and fueling speculation that she plans to succeed Robert Mugabe as president following his death. She has also been at the center of scandals surrounding her extravagant spending and the construction of palaces. The commander of the Zimbabwe Defence Forces, Chiwenga is a veteran of the war for liberation, having joined the fight in 1973. 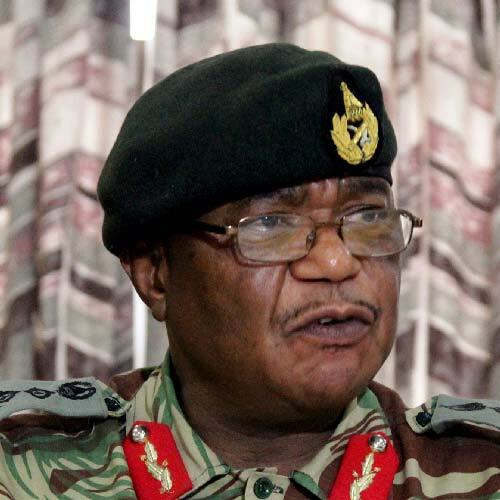 He rose through the ranks of the post-independence Zimbabwean Army to become the chairman of the Joint Operations Command. When former Vice President Mnangagwa was dismissed in November 2017, Chiwenga made an official statement that the military will “step in” if the political purging doesn’t stop. 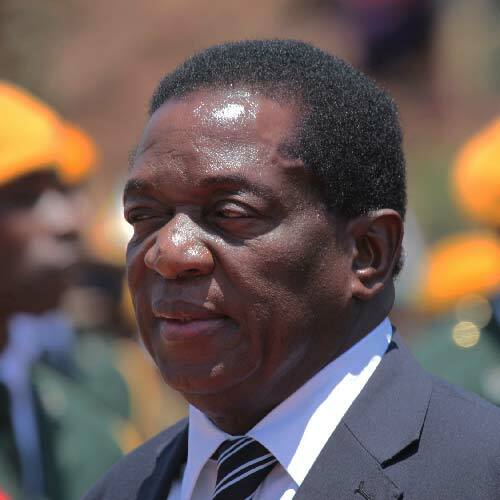 A veteran of the liberation movement, Mnangagwa has held a number of key positions in the Zimbabwean government, including, most recently, president. He is nicknamed “the crocodile” for his patience, his ability to survive multiple purges of top officials and his political savvy. He was seen as a likely successor to Mugabe, which increasingly put him in conflict with Mugabe’s wife, Grace. In August 2017, it was reported that an attempt was made to poison him, an act his supporters blamed on Grace Mugabe. On November 6, 2017, he was removed from his post as vice president, setting off a series of events that put Mugabe on the verge of impeachment. Mnangagwa fled to South Africa and is rumored to be plotting a return, with designs to assume the presidency as part of a transitional government. 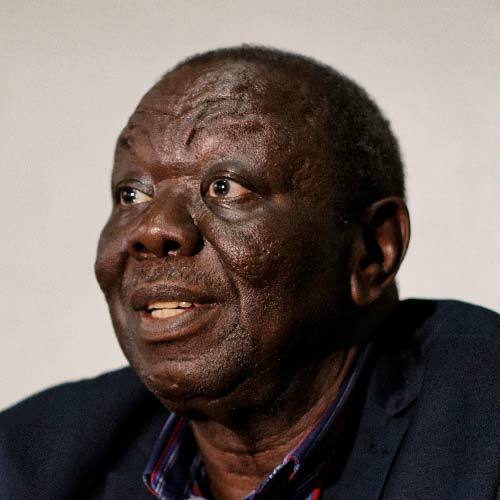 A union leader and former supporter of Mugabe’s, Tsvangirai became the most prominent opposition figure in the country. In 1999 he founded the Movement for Democratic Change, or MDC, an opposition party. He ran against Mugabe for president multiple times. In 2007 he was arrested and badly beaten, an event that drew condemnation across the globe. In 2009 he formed a coalition government with Mugabe and became prime minister. The alliance was fraught with disagreements and, in 2013, Zimbabwe eliminated the position of prime minister. A lawyer by training, Mutsvangwa was one of seven black students accepted to study law at the University of Rhodesia in 1975. In its brief history, Zimbabwe has transformed from a regional breadbasket with great economic promise to a country crippled by hyperinflation, rampant unemployment and the mass exodus of millions of its citizens. Along the way, key players jockeyed for power and saw their political fortunes rise and fall. ZANU-PF announces Mnangagwa will become its new leader. Facing impeachment and intense pressure from in and outside the country, Mugabe steps down. Pressure mounts on Mugabe to step down. ZANU-PF and Mutsvangwa say Mugabe must resign or face impeachment. In a live broadcast, Mugabe says he will continue to lead. ZANU-PF votes to replace Mugabe with Mnangagwa as its leader. Large, peaceful protests fill the capital. Protesters call on Mugabe to resign. Mutsvangwa praises the military’s actions. Led by Chiwenga, the military takes over, placing the Mugabes under house arrest. Chiwenga threatens to “step in” to correct Mugabe’s actions. Mugabe fires Mnangagwa as vice president after Grace Mugabe impugns Mnangagwa. Mnangagwa claims he was poisoned; his faction blames Grace Mugabe. 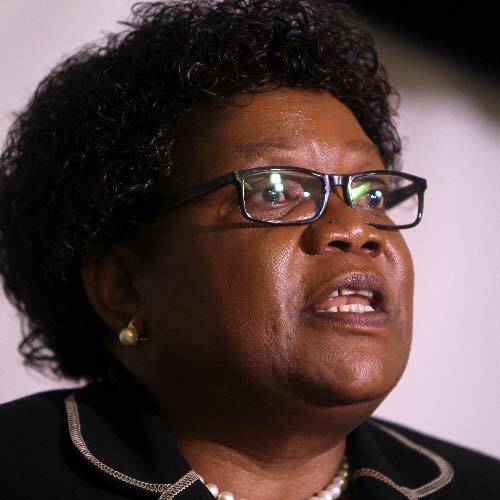 New factions in ZANU-PF emerge. Divisions between factions in ZANU-PF that back either Grace Mugabe or Mnangagwa as Mugabe’s successor deepen. Mugabe dismisses Mutsvangwa from cabinet posts. Mutsvangwa faces a three-year suspension from ZANU-PF for misconduct and disloyalty. Grace Mugabe becomes leader of ZANU-PF’s Women’s League and joins the ZANU-PF Politburo. 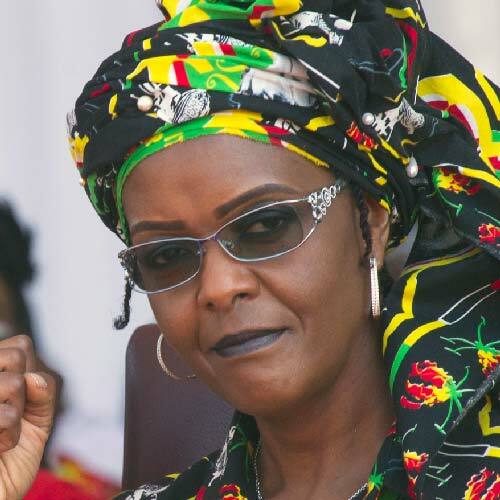 Grace Mugabe alleges Vice President Joice Mujuru of plotting against her husband. After consolidating power, Mugabe wins a decisive election against Tsvangirai. Mnangagwa becomes minister of defense. Mugabe stays on as president. Mnangagwa negotiates to keep Mugabe in place. Chiwenga steps in to keep Mugabe in power, and Tsvangirai withdraws from the runoff. In a tightly contested election, Mugabe and Tsvangirai face a runoff after Tsvangirai secures more votes but less than the required 50 percent. The government accuses hundreds in the military, including high-ranking officers, of plotting a coup. They allege the army sought to replace Mugabe with Mnangagwa. Mnangagwa denies knowledge. Mnangagwa loses another parliamentary election, and Mugabe again gives him an unelected seat. Zimbabwe’s international image drops. The U.S. calls it an “outpost of tyranny.” The U.N. says government programs made 700,000 people homeless. Chiwenga becomes commander of the Zimbabwe Defence Forces. The government charges Tsvangirai with treason, alleging he attempted to assassinate Mugabe. Mugabe defeats Tsvangirai to win re-election. Mutsvangwa becomes Zimbabwe’s ambassador to China. International donors cut aid in response to land seizures, leading to fears of food shortages. Political elite consolidate power amid questionable national policies. The government arrests Tsvangirai after he threatens Mugabe, but the charges are dismissed in court. 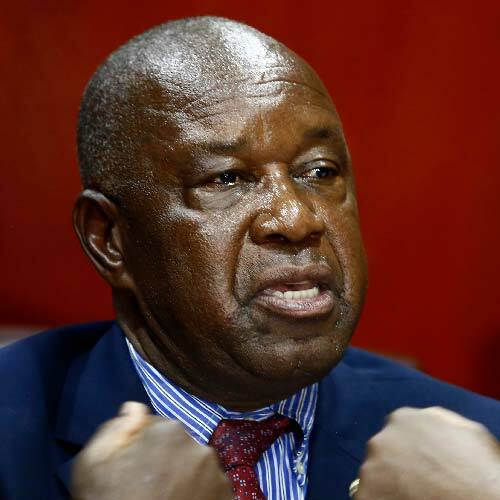 Mutsvangwa becomes ZANU-PF’s party secretary for Harare Province. Mnangagwa becomes speaker of parliament. Mnangagwa loses a parliamentary election, but Mugabe gives him an unelected seat. With Mugabe’s support, squatters violently take over white-owned farms. Robert Mugabe and Grace Marufu marry, making Grace Mugabe the new first lady. Chiwenga becomes commander of the Zimbabwe National Army. Mutsvangwa goes to private sector. Mutsvangwa becomes director general of state broadcaster ZBC. Mugabe eliminates the role of prime minister, naming himself president. Mugabe and Nkomo merge parties, consolidating power. Mnangagwa becomes minister of national security. Rival ZAPU party leader Joshua Nkomo joins the cabinet. Mugabe and the ZANU party win elections.